Add a touch of sophistication to your sink with the Fiona 1/4 Turn Basin Set. 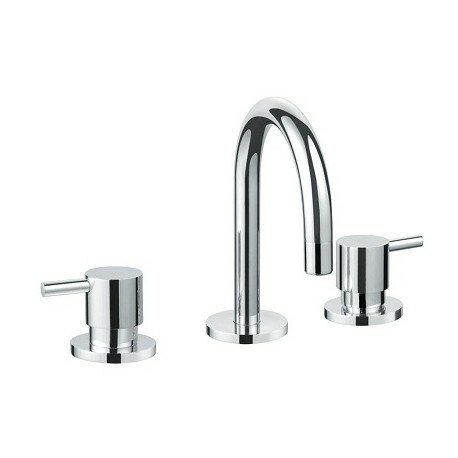 Featuring a contemporary design, this tapware set will definitely add the finishing touch to your kitchen or bathroom. The Fiona 1/4 Turn Basin Set is extremely sturdy and is designed to be long-lasting. 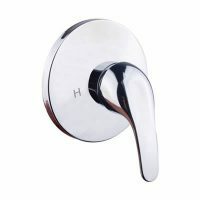 It is manufactured with solid brass and with a gooseneck spout and a chrome finish, it is highly durable. 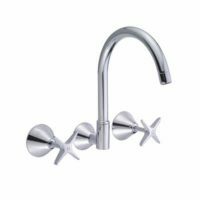 The lever handles are ergonomic in design and easy to grip and the quarter turn taps makes this tapware set incredibly easy to use. Furthermore, no washers are required so you can look forward to easy installation as well. The Fiona 1/4 Turn Basin Set has a flow rate of 5.5 litres per minute and had a WELS rating of 5 stars. Manufactured by Alpine, one of Australia’s leading manufacturers, the Fiona 1/4 Turn Basin Set displays fine quality and is well worth being called a superior grade product. Alpine products are featured at the lowest possible prices at Ross’s Discount Home Centre. Currently, the Fiona 1/4 Turn Basin Set is available at an unbelievable bargain. Don’t delay – buy this tapware set for your kitchen or bathroom today before availability runs out!